Media and Contents: 285 parts in dark green plastic, 8 parts in clear, one fret of photo-etched parts, 8 small and 12 large polythene caps and a length of string. Advantages: Interesting subject; high level of detail; all-new parts for this unique Finnish vehicle; includes link and length tracks and Commander figure. Disadvantages: Ejector pin marks on inside surface of tracks. 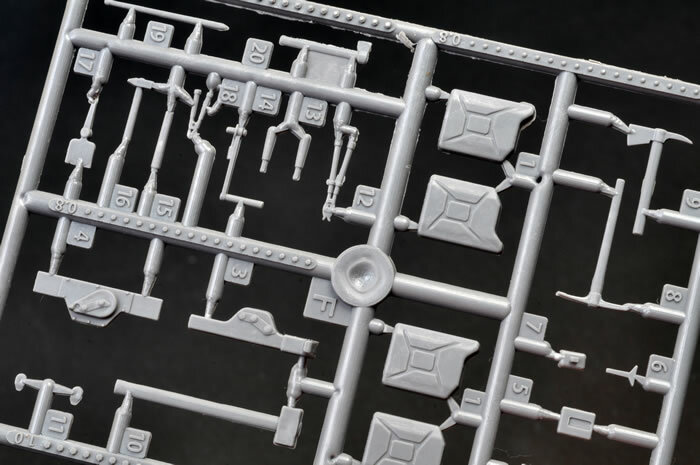 When this kit arrived on the doorstep I honestly wondered if it was some kind of once-off prototype or perhaps a “Wehrmacht ‘46” style of theoretical vehicle. It is a very odd looking duck indeed. 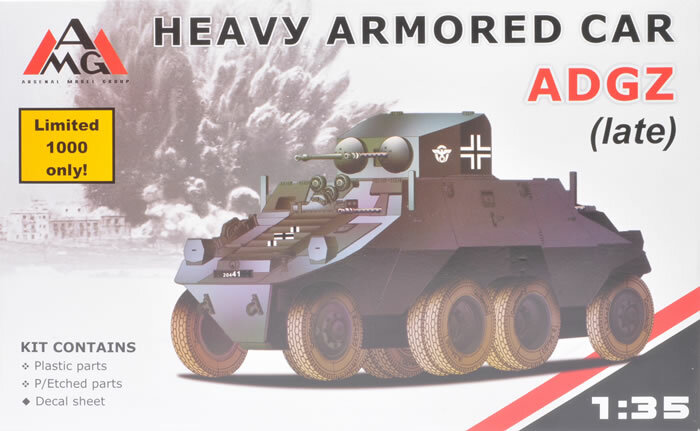 “The Steyr ADGZ was originally developed as a heavy armoured car for the Austrian army (its designation was "M35 Mittlere Panzerwagen") from 1934 and delivered from 1935-37. The Austrian army was using the ADGZ armoured car at the time of Anschluss. 12 were used by the army and 15 were used by the police. The Germans used them for police work and some were taken on by the SS and used on the Eastern front and in the Balkans. The SS ordered an additional 25 ADGZ, which were delivered in 1942. An interesting feature of this vehicle was that there was no "rear". Either end was capable of driving the unit. AMG was also a new name to me. This model company hails from Ukraine and this appears to be only their second or third offering. The packaging and box art appears quite professional. Underneath the attractive lid are 181 parts in low-pressure, limited run injection moulded plastic (grey in colour), around 42 photo-etched parts on a single fret and 12 vinyl tyres. The large (and yes, it is a large vehicle) upper and lower hull parts are each moulded in one piece, so we don’t have to worry about assembling a complex flat pack for these critical areas. 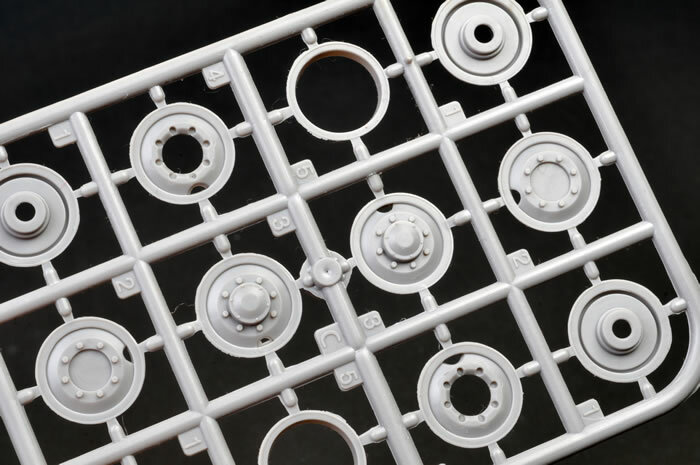 Surface detail is quite crisp for a limited run kit, comprising recessed holes plus raised panels and rivets. 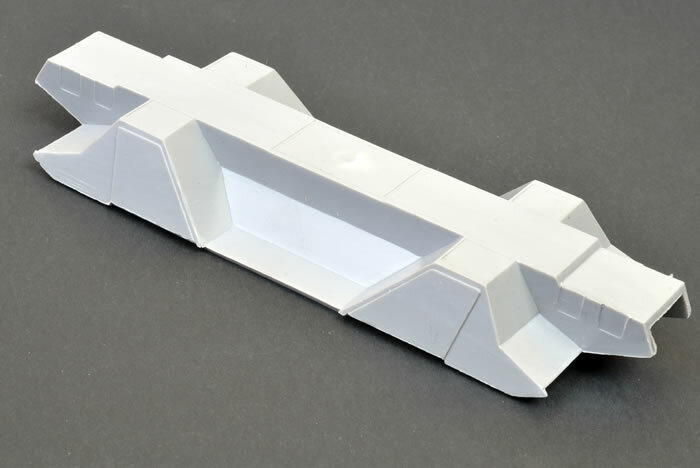 The hull hatches are all moulded shut, and there is no interior detail. The characteristic louvres on the (nominal) front of the vehicle are moulded shut, but it would not be a major task to cut separate louvres from strip plastic and fix them in the open positions between the two photo-etched side strips. The cylindrical turret is made up from four main parts, which includes a separate Commander’s hatch. 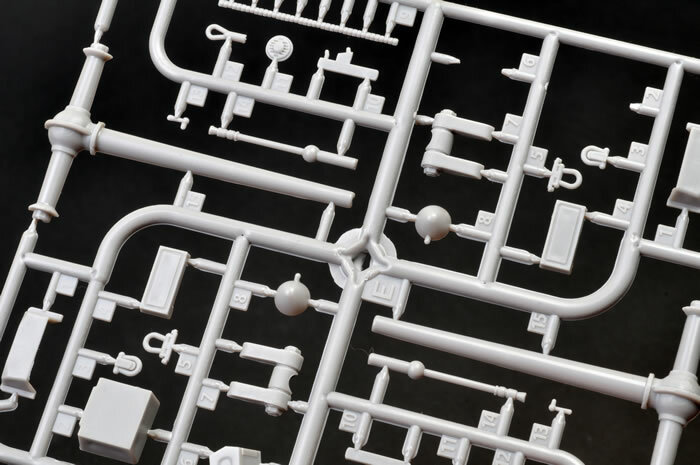 The smaller detail parts are crisply moulded with minimal imperfections. The black vinyl tyres are actually very nicely done. The material is quite hard, and the tread pattern is crisp. There is a feint circumferential centre seam line, but this should disappear if you rough up the tread with a sanding stick. The sidewalls are really impressive with very fine raised ribs and “Continental” lettering – obviously no fear of Trademark infringement in the Ukraine! 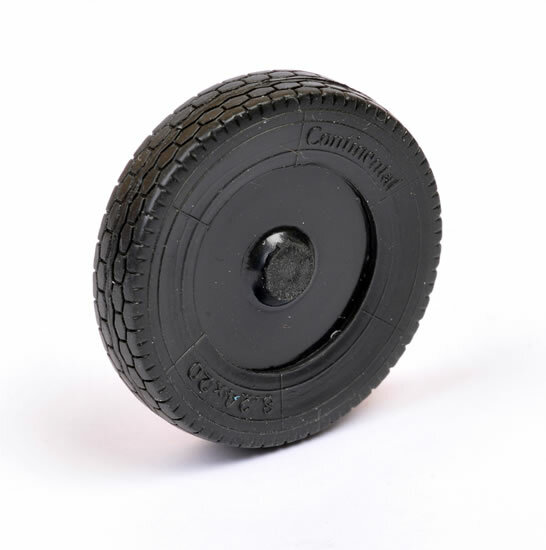 You’ll have to cut out the thick vinyl plug in the middle of each tyre before assembly. Options include a rack, four jerry cans, a shovel, pick and axe. 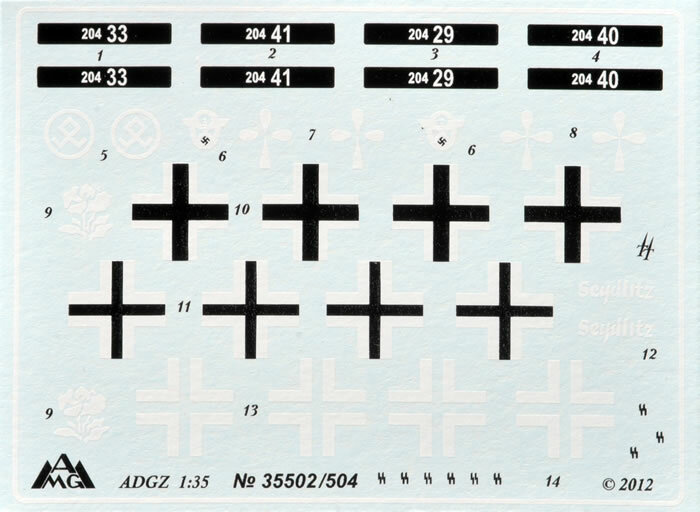 Markings for four vehicles are included on the small but sharply printed decal sheet. All the schemes are overall Panzer Grey. No clue is offered about the source of the decals, but they look good. In summary, this model looks impressive in the box. However, you don’t want to be completely lulled by the crisp detail and quality of the plastic. 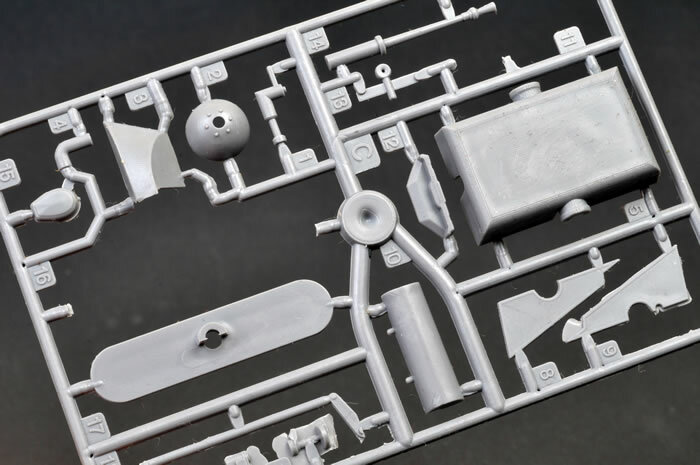 Being a limited run kit, you should be prepared to spend some extra time preparing the parts, test fitting and potentially filling and sanding. Even so, this is a small price to pay for a nice looking replica of a very unique type. I can’t see Tamiya coming out with one of these any time soon! Now that sounds like a fun conversion.